1: They have been battered with injuries in two very key spots…O-Line and DBs. They are just starting to get healthier there. 2: They should have pushed Samaje Perine from day-one, and then they’d have had their Jordan Howard all season…like they did last week when forced to start him. 3: They’ve had one of the most brutal schedule setups in the NFL. 10 games this season, 8 with divisions leaders/likely playoff teams (2-6 record). They already had to play Philly twice. They had to go TO Seattle and Kansas City (split them 1-1). They just played MIN and NO back-to-back…both teams on fire of late/the wrong time to play them. The ‘Skins two NYG games haven’t even happened yet, to offer some relief. In this game, the Redskins had the Saints down 15 with 6+ minutes remaining. They somehow blew the lead and lost in OT. The Redskins did that thing that drives me crazy late in games. With 3+ minutes left, up by 7…the Redskins needed one 1st-down to about put the game out of reach. A second 1st-down would then have ended it for sure. First play of what they hoped was the final/put them to sleep drive, Perine slices off 6 yards. It was then 2nd & 4 with 2:46 left and the Saints with one timeout and the two-minute warning. There was no reason to worry about the clock for Washington, per se, because the Redskins needed a 1st-down more than anything. Giving the ball back to Drew Brees with 1:30 left or 2:15 left…inconsequential, really. 2nd & 4 would have been a great time for a play action pass. Get the 1st-down and the clock would hit the two-minute warning. You could then run three plays and the Saints would call their last timeout…and you’d give Brees the ball with 0:15-25 seconds to go 70+ yards for a TD. Instead of a pass, the Redskins run the ball and Perine falls a yard short. 3rd & 1. Maybe a perfect time for a play action pass…instead, the Redskins run again and get stuffed for a loss. The Redskins punted away to Brees with 1:53 left. Who cares if 1:53 or 2:15 left with Drew Brees? So, what if he Brees has one or no timeouts at that point? Your best chance to win was getting the 1st-down and then running clock like a virtual kneel down. The Redskins played it safe, failed to get a 1st-down, and gave the ball back to Brees and the rest is history. ‘Playing not to lose’ runs through the blood of most every NFL head coach. The Steelers did the opposite a few weeks ago – they passed the ball in very similar circumstances and the defense was caught flat-footed. The Steelers put the opponent away. That’s why I like Mike Tomlin. I get that if it fails every fan will cry like a stuck pig. That’s why coaches don’t/can’t ‘go for it’. We’re to blame. The Saints won this game after being outplayed for 50-55+ minutes. The Saints may have fallen out of the playoff race had they lost given at LAR, CAR, and at ATL ahead the next three games. The Saints may win one of those games, but if Marshon Lattimore is out for an extended period…they may lose all three. It doesn’t matter now -- the Saints are getting to 10+ wins and either winning their division or making the wild-card. Washington’s season ended with this loss…they’d have to win out to get to 10 wins, but they probably will only get to 8 or 9 wins. 9 wins considering they beat Seattle might sneak them in, but 10 wins is the likely need…and I don’t think Washington can get there. Before the season, I said he would be a Jordan Howard/2016 story for 2017…but it took a little longer than I expected. I gave up on him midseason like everyone in a redraft, but I noted…you have to drop him in 12-man/15-player rosters BUT there will be a day when Kelley falters/gets hurt again and Perine is forced upon Jay Gruden. It happened in Week 11…and Perine looked better than any Redskins RB since Alfred Morris mattered. Now, that Chris Thompson is out…Perine is an RB2 every week with RB1 upside. Perine was as good as I scouted him as in this game…big, powerful, nimble…tough runner. Nice bounce in his step picking his way through traffic. RB1 threat now. RB1 threat in 2018. -- As much as I am delighted, and relieved, that Perine matters, finally…I am more entranced by Josh Doctson (4-81-0/7). He had his hands on two end-zone shots early in the game. In another world, Doctson has 2 TDs and 100+ yards a quarter and a half into the game. 1: Our scouting on him out of TCU was solid…a B+ WR with A- upside. Had no fears about Doctson hanging in the NFL…but then he got to the NFL and was hurt, looks to have a skinny frame, wasn’t making an impact. 2: I’m watching him rise the past few weeks, and I don’t see a ‘wow’ WR. I still see a ‘B’ to ‘B+’ WR. Solid. Good. Not great. Nice high point/’go get it’ guy but not a workhorse. 3: What I love today is – Cousins is talking about Doctson. The players are excited about him in practice going back for weeks. The target progression and totals are rising. He’s gone from ignored…to popping up in desperation for a target or two here and there…to becoming the starter over Terrelle Pryor but still didn’t stand out with output…to now he’s getting DeAndre Hopkins-like targets – just everything they can throw his way and let him try to make a play. I can argue how highly graded a talent he is today, but I more love the team’s intent with him. This has gone from ‘random guy who might be open so we’ll throw him a bone or two or three’ to ‘the guy’. In the context of what’s left on waivers at WR…I’m glad I scooped Doctson last week on my own advice in 12-teams/15-main redrafts. He was only 20% or so owned in ESPN leagues this morning. That number is going a lot higher today and tomorrow. -- Jamison Crowder’s (7-72-0/8) is rising in targets as well, but his is more dump passes in two-minute drills then a ‘the guy’ purpose. However, he is getting WR2-level work in PPR. After being dropped in many leagues up until a few weeks ago, Crowder has averaged 6.7 catches, 90.3 yards, and 0.0 TDs per game the past three games. He’s starting to matter as the Redskins pass more and more. If I had the choice between the two, I’d take Doctson over Crowder because of the type of work they’re getting. 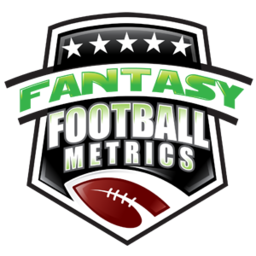 -- Drew Brees (29-41 for 385 yards, 2 TD/1 INT) is still a great NFL QB, but he’s slipping a hair…and this offense is in love with itself running the ball, and thus lowering Brees’s fantasy opportunities. Brees has 5 TDs/3 INTs in his past five games. Rams-Panthers-Falcons ahead…not easy. Goff-Cam-Ryan the next three weeks, you can’t use them with much confidence ahead. Especially if Marshon Lattimore is out for any extended period of time. The also lost a key pass rusher in Alex Okafor (6 tackles, 0.5 TFLs) for the season in this game. Kenny Vaccaro has been missing time as well. As fast as the Saints DST rocket took off…it’s plummeting to earth with the same force and speed.